I’ve been in Bolivia two weeks now. Time really goes by fast, even more so when you don’t have a set schedule of daily activities. I arrived at the international airport in Santa Cruz not knowing what to expect. I knew it was summer in Bolivia and sure enough I was greeted with a blast of hot, humid air as I exited the plane. As I made my way out of customs and entered the airport lobby, I anxiously looked for a familiar face. All of a sudden Steve Wilson stepped out in front of me, accompanied by his friend Helen. I was so grateful to have them both help me with the extra luggage and not have to pay for a taxi. After running around town getting supplies that I needed, we headed for the outskirts of town were the new REDADVINIR TV station is located. It is one of the Gospel Ministries international projects. The station is nearly complete and I would be staying in a small building behind it. Little did I know of what kind of living arrangements awaited me. The small building is three rooms behind the station and a good walk away, hidden in some tall grass. Steve told me that I would be able to keep my stuff locked up in one of the rooms, but I would need to sleep outside because high night temperatures make the rooms unbearable to sleep in. So instead I get to sleep in a chicken coup. That’s right, a place built to house chickens. The nice thing is the coup is new and quite airy with a cement floor. It actually does begin to feel like home, except when it pours and all the rain hitting the tin roof wakes you up in the middle of the night. Oh yeah, and I found a snake next to my bed one day, but I’ll save that for another time. The following day I hit the ground running. My visa was good for 30 days so I needed to start the residency process if I wanted to avoid paying any fees. Steve took me into the city on a Honda 125 motorcycle. It’s a 30 minute ride and quite an adventure. The bike has just enough power for the two of us as we weave in and out of traffic. There does not seem to be many rules, as cars cut in front of one another and run red lights often. The traffic gets so dense at times that the motorcycle is the best way to travel. You can cut in front of a long line of cars by ridding in between cars all the way to the front of the line. Two weeks later I had all the paper work required to start the residency process. One of the secretaries and accountant that works for the station was such a blessing in helping me gather all the different documents that I would need. It’s quite a process and without her I would have been so lost. I turned in my papers, praying the whole time they would not get rejected. Praise God, they went though without a hitch! It was such a relief to be done, for now. The rest of the time I have kept myself busy with finishing the construction of the TV Station. It has all the windows put in and even most of the doors. It’s a huge building with two floors, many offices and two large studios. I’ve helped with the tiles and ceiling and moving around construction material. You are probably wondering, what about the flying? Didn’t you go to Bolivia to fly airplanes? Steve told me that the airplanes have been grounded by the government. We are not allowed to fly until we register the airplanes as Bolivian. Registration costs money, and that money is not here yet. The other problem is that in order for someone to fly a Bolivian plane, they need a Bolivian pilot’s license. Satan tries so hard to discourage and make it impossible for God’s work to proceed, but I have faith that we will get the money soon. Also the whole Bolivian pilot’s license ordeal should not be too difficult. If it’s another private pilot check ride I need to take, it should be pretty easy to pass the second time around. The way I see it, all of these problems have solutions. If God brought me here to serve him and is bringing others as well, I know that He will make sure things go His way no matter what Satan may try. Constant prayer is what is needed now. Working directly with God as a missionary I will have to face all kinds of trials. But it is that constant relationship with Christ that keeps me going, knowing that God is in control of every situation. Praise God for what is done and what he will do. The evidence of His great power is all around me here at the TV station. 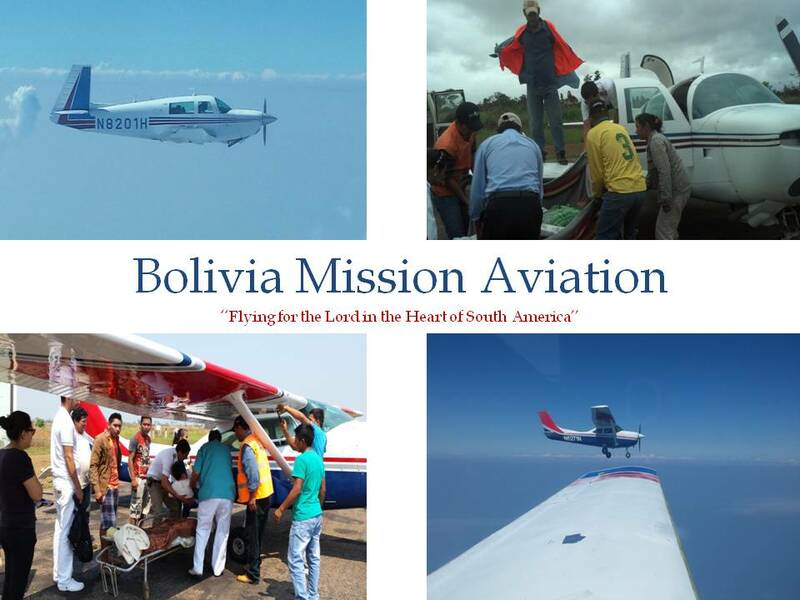 If God can raise a TV station from the ground, he can do the same for aviation in Bolivia. No doubt about it! We miss you over here at the Airpark. We keep praying for you and your ministry. It was strange to hear Evaldo's voice teaching the Private Pilot Ground Class. He lost his voice after the first day of class :o) He is ok now and doing a good job. Que Dios te bendiga mucho, cuidate.